TrueWoW • Red Smoke Flares! No idea where to post this, but I need some nolifer to farm Item Loading... for me, paying 2k/stack, need about 3 stacks. It's sold by some fatass, item has a CD idk how long it is (you can't craft it, the 'recipe' in the TW armory is fake). C.o.D. 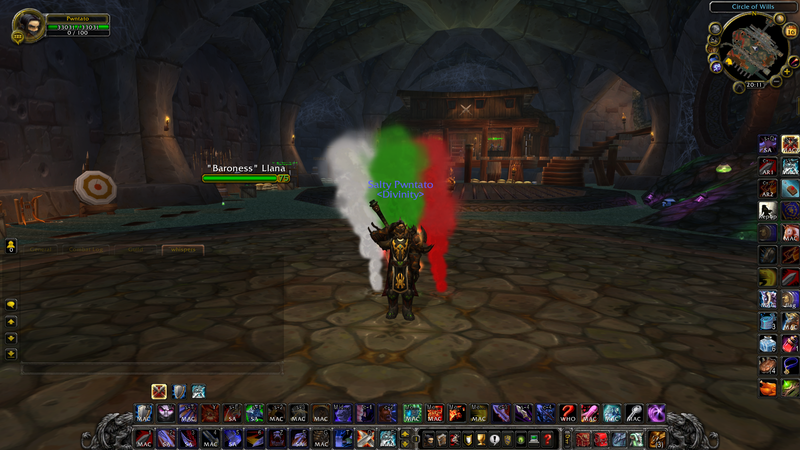 to Pwntato/Bloodshade TW realm. Got all I need, thanks.